Home » Events and Blogs » Blog » Bend it. Backbending is quite a phenomenal thing. Even though backbend postures can temporarily make you feel anxious, angry or crazy, the end result is incredible. 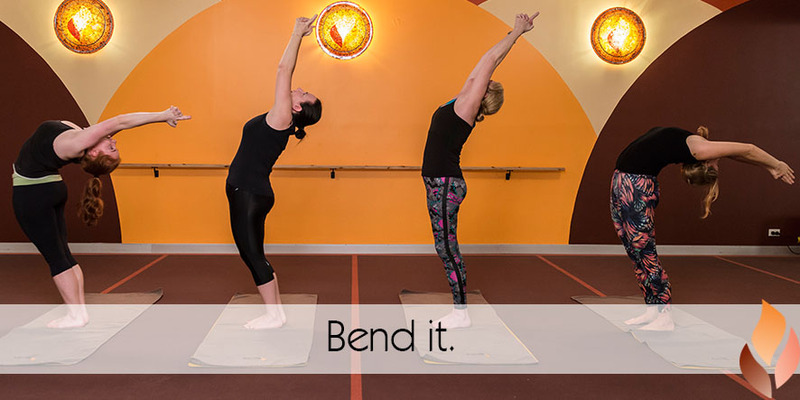 The action of backbending can actual help you release and dispel those feelings in the short and long term. Some days your backbends will be performed with ease. Some days your backbends may be uncomfortable. Some days you’ll be faced with challenges and hurdles to overcome. But every day, it will be worth it. The incredible action of opening the front of the body means you will release and break through stress (although it will require mental determination, discipline and dedication!). When we backbend, our world is literally turned upside down. This gives you a brand new perspective and can allow for new and fresh thoughts to come to mind. We’re in a world filled with forward bending – driving, sitting at desks, texting, picking up kids. All of these activities round the spine. Spines are meant to be flexible and have a forward and backward range of motion. Performing backbends will help to reverse the effects of everyday forward bending, improving posture and flexibility! Backbends can be scary. No doubt about that. But they don’t have to be. Backbends teach us bravery, strength and trust. Brave enough to try again, strong enough to push through and trust enough to let go. By releasing some of the tension on the backs of our spines, we can open up the front of our bodies to new people and experiences. Flexibility in the body mirrors itself in our minds.